Surrounded by water on three sides, the peninsula that is South Korea is outlined by a highly indented, 8,640-kilometer-long coastline that is bedecked by more than 3,500 islands. Unsurprisingly, an adventure through the country’s coastal cities promises gorgeous scenic views, amazing seafood feasts, and unsurpassed hospitality. Pack your bags and get ready to explore Korea’s coastal route in all its glory. Incheon isn’t just home to South Korea’s primary airport, it’s also a great base camp for exploring some of the country’s small but charming northern islands. Muuido Island, for example, has two beaches equipped with great seafood restaurants, camping facilities, and even a zip line. Meanwhile, Deokjeokdo Island’s mud flats, pebbled beaches, and 300-year-old pines are a feast for the eyes – and the soul. Nestled on the coast of the Yellow Sea, Boryeong attracts visitors from all over the world thanks to its expansive mud flats. Every summer, it plays host to one of the most unusual and memorable festivals in the world, the Boryeong Mud Festival. Here, locals and tourists alike take part in a variety of mud-centric activities including a mud pool, mud slides, mud prison, and mud skiing. 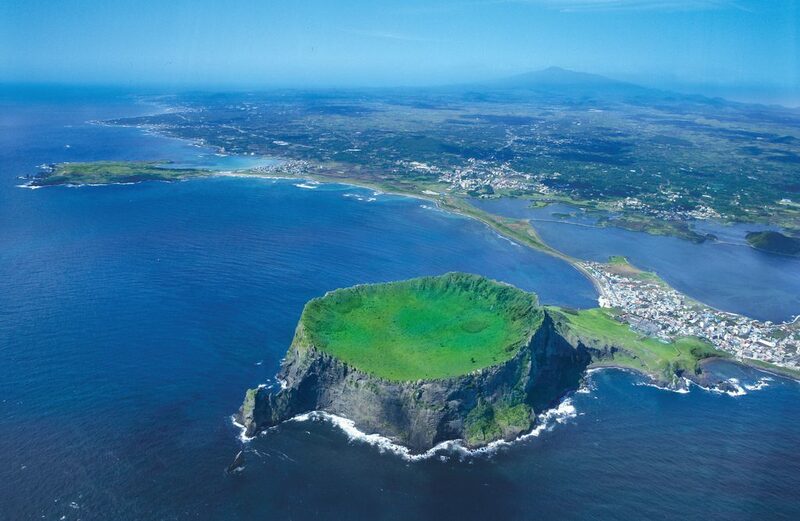 Just off the southern coast of South Korea, Jeju Island pulls in vacationers and honeymooners by the tens of thousands, with its colorful rapeseed fields, legendary female divers, and the world’s longest lava tube system being some of its biggest draws. Beach lovers will enjoy spending an afternoon or two soaking up the sun on its sandy shores, while divers can marvel at its volcanic underwater terrain in Seogwipo. Trekking the Olle-gil is a yet another way to experience the natural and cultural beauty of the island. With more than 20 courses to choose from, each route offers something different, whether it be small villages, beaches, farms, or forests, providing visitors with a unique perspective of the island. Back on the mainland, make your way to tranquil Tongyeong. Often referred to as the “Naples of Korea,” the city’s gorgeous evergreen trees and emerald seas are canopied by vast blue skies, making for some spectacular scenery. Charming islands punctuate its shores, and can be reached by ferry services that depart from Tongyeong’s central terminal. Be sure to add a bit of island-hopping to your itinerary, with Somaemul Island as a priority. This postcard-perfect island consists of a number of hiking trails with varying difficulty levels, all offering breathtaking ocean views. With a stunning landscape of mountains and beaches, and an endless array of hot springs and seafood restaurants, the country’s second-largest city is a boisterous coastal destination that visitors often consider a highlight of their Korean travels. Here, spend an afternoon admiring the murals and sculptures of the colorful Gamcheon Culture Village or taking in the tranquil beauty of Haedong Yonggung Temple, one of the only oceanside Buddhist temples in the entire nation. Foodies will adore Busan’s food scene – a varied mix of casual tent bars, lively fish markets, and sophisticated cafés. 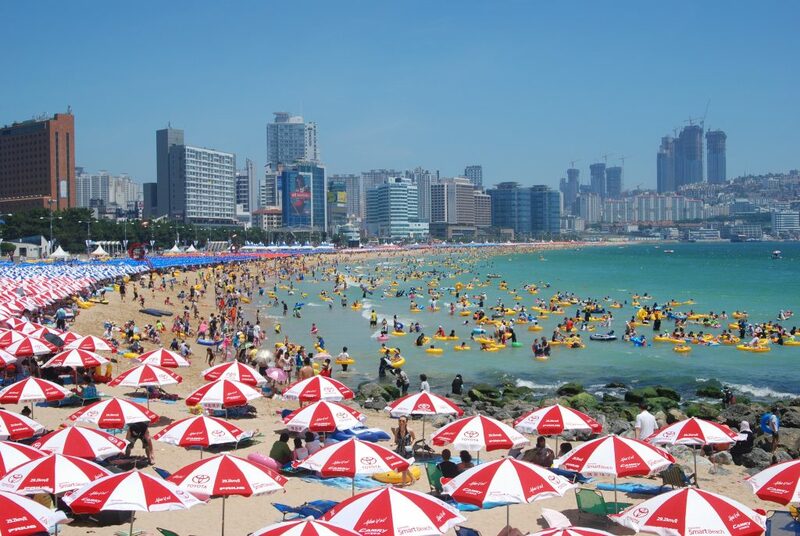 For glorious sunsets, head to Haeundae Beach, a beautiful stretch of white sand set against the city’s urban landscape. 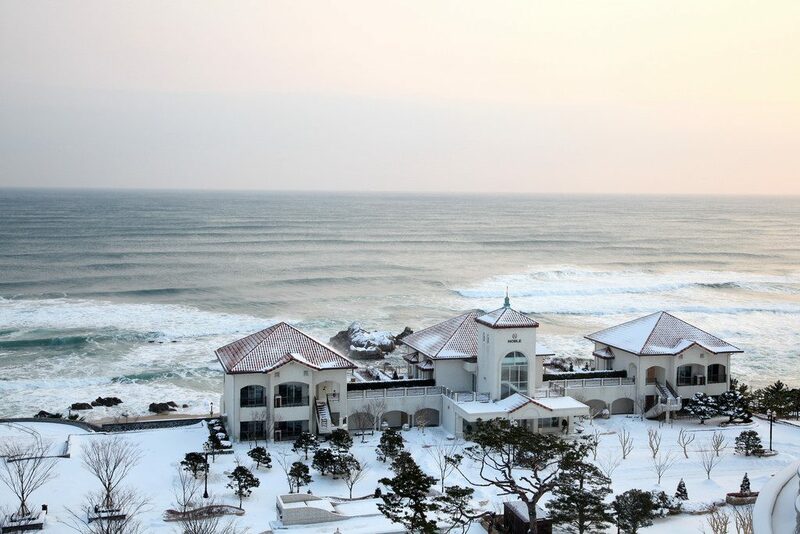 Located on the northeastern seaboard of Gangwon-do province, Yangyang is home to a number of beautiful beaches and is particularly famous for its surfing scene. 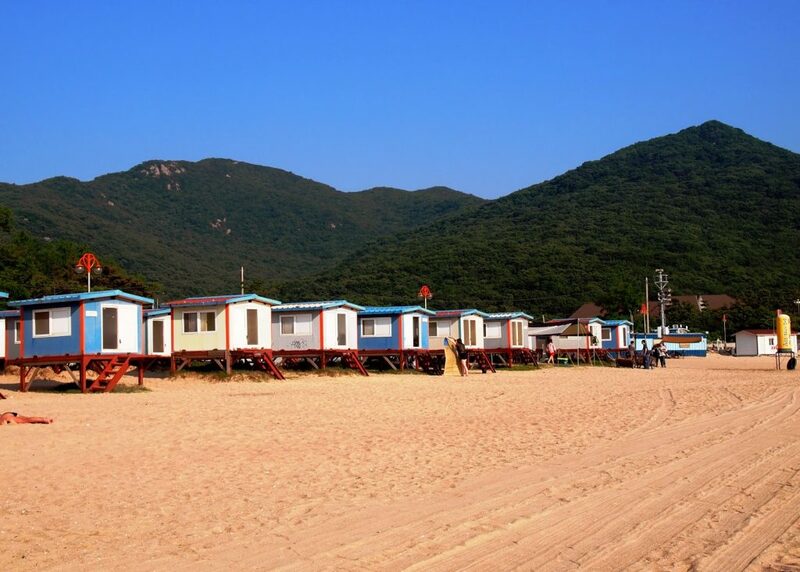 Naksan Beach, a wide, two-kilometer stretch of sandy shore, is practically deserted for most of the year except July and August, when visitors flock to the area to participate in an array of water sports. Seafood restaurants line the northern end of the shore, offering fantastic seafood and even better ocean views. Situated on the eastern coast, Sokcho is widely celebrated for its white sandy coast and makes a great spot to wrap up your Korean coastal adventure. 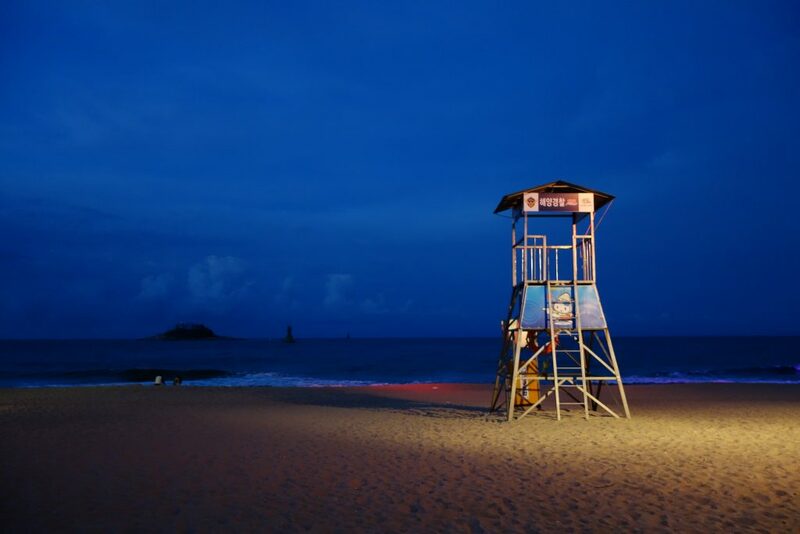 In particular, Sokcho Beach is a must-visit destination, especially in the summer, when numerous festivals and concerts liven up the city. Visitors can rent fishing equipment and try their luck on nearby Jodo Island, or head to the pier to get some fresh sushi at one of the city’s many local fish markets. 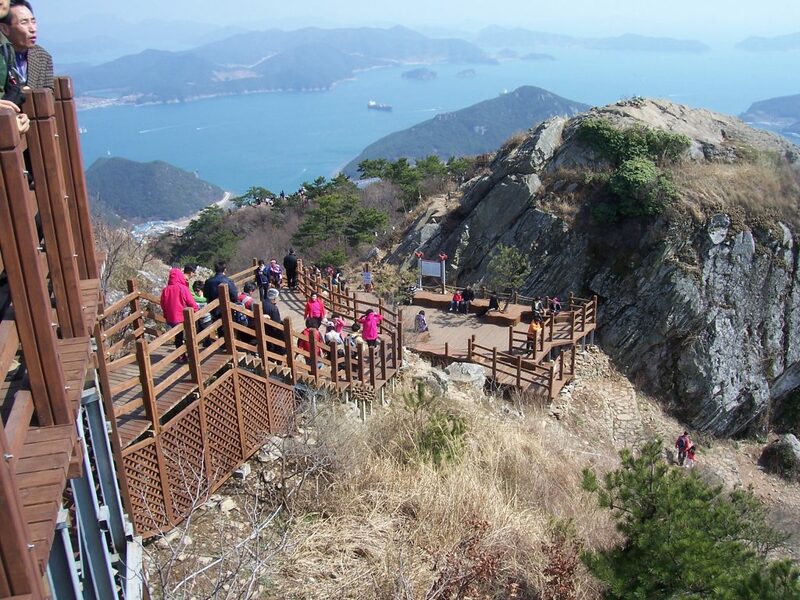 Hikers will enjoy exploring Sokcho’s Seoraksan Mountain – one of Korea’s most celebrated – which features well-maintained trails and breathtaking autumn foliage.